Audi’s rival to the BMW 1 Series and Mercedes A-Class isn’t just a better car, it’s a solid five-star model. With a long, and still growing, list of competitors, the A3’s impressive mix of comfort, quality and pleasantness to drive keeps it consistently atop the premium hatchback pile, ahead of the BMW 1 Series, Mercedes A-Class, Infiniti Q30 and more. If you are considering the purchase of a new or pre-owned Audi A3 in Vaughan, then our Pfaff Audi Vaughan dealership and pre-owned sales facility are the places for you! Customers looking for a used Audi A3 can visit our pre-owned sales facility at 115 Auto Park Circle in Woodbridge! Let’s take a look at some of the reasons why you should consider driving an Audi A3 in Vaughan. Out front, the visibility from the A3 is as good as you could ask for. Things take a dip at the rear, but there’s plenty of optional kit to ensure that your bumpers remain undented when navigating into and out of tight parking spaces. Also, rear and front view cameras can assist you with parking in tight spots! Despite the high buying price, running costs for the A3 are impressively low; stop-start and weight-saving measures such as the use of aluminium and high-strength steel in the structure all help reduce the fuel consumption and emissions. There’s air-con, 16in alloys, Bluetooth, LED daytime running lights, Apple CarPlay and cruise control even in bottom-rung SE trim. In fact, it’s the spec that a lot of people go for, with rear parking sensors and satellite navigation optional extras list. Lane departure warnings, parking assist, digital dash, and much more can be found in an Audi A3 in Vaughan! The A3’s interior is one of its big strong points, quite literally. Everything is well screwed together and hewn from plush materials. Where rivals cheekily use hard plastics in less frequently touched areas, the Audi’s interior avoids this. Even the switches feel perfectly weighted and plush. A new or pre-owned Audi A3 can be found at our Pfaff Audi Vaughan dealership or at our pre-owned sales facility at 115 Auto Park Circle in Woodbridge. We encourage our customers to schedule a test drive at their earliest convenience either on our website, or by contacting our representatives. 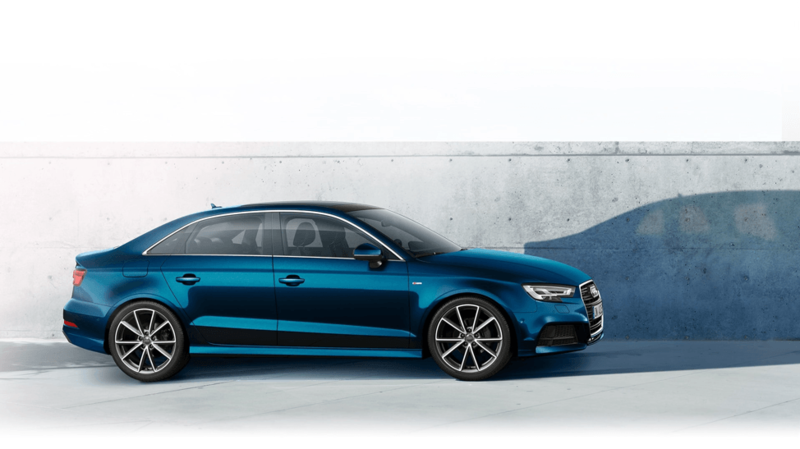 For more information about the Audi A3 in Vaughan, please feel free to continue browsing through our website. Click here to find our contact information, schedule a test drive, or to fill out our contact form.